Recently, Jet-Stream integrated with Mux Data and is feeding Mux global CDN streaming performance data into its Multi-CDN load balancing. Viewers expect online video to play perfectly, every time. To make this happen, you need the right QoE data, and you need to use the data well. Mux Data combined with Jet-Stream is a powerful combination. Read the full story. Live streaming can be technically challenging. Especially if you are streaming from the inside of birdhouses. Each year the Dutch Birdlife has 20 continuous livestreams showing the life of birds in spring. This attracts an audience of millions of bird watchers. To make sure that the streams are delivered in pristine condition, they work with Jet-Stream. Read their story here. Claranet’s content is viewed in many countries across the globe, some of which are quite remote. They have chosen to work with Jet-Stream Private and MultiCDN. This enables them to stream at the desired quality everywhere in the world. By having a partially insourced platform, they found out that they could cut costs in the process. Read their story here. Like many other technology driven organisations, ESA often seeks out consortia of internationally renowned consultants to give them advise on a particular topic of interest. And when that topic of interest is delivery of streaming media, they ask Jet-Stream. Find out what Jet-Stream Consultancy does for organisations like the European Space Agency. Privacy and marketing are both of great importance to Jet-Stream. Sometimes we have a fantastic use case, but the company in question is very private about the fact that we offer them that solution. We of course need to respect that privacy. So in this case we have decided to write the case of the mysterious Customer X. Can you guess who they are? The Dutch public broadcasting organisation, NPO, has worked with Jet-Stream on many occasions. NPO has her own streaming platform and works with external companies like Jet-Stream, to outsource some of those capabilities, or to form new alliances that benefit the market as a whole. Here you can read what they have to say about working with Jet-Stream. Highly specialised AV companies, like GEOCAST, know their stuff. They have their own streaming environment, complete with their own Wowza servers, network and player set up. And have the knowledge onboard to keep up the maintenance of such a platform. Still they work with the Jet-Stream platform. Why? Read the story of our partnership with GEOCAST here. 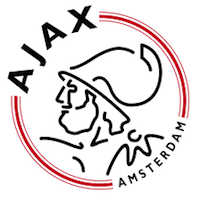 Ajax is one of the most renowned football clubs in Europe. Old and young enjoy watching Ajax play, both inside and outside the stadium. To make sure that the enormous fan base can enjoys the latest news about their club, Ajax has launched her own TV Station: Ajax TV. Their content was to be delivered in the style befitting the best football club, they chose Jet-Stream. Tele1 is a major news broadcaster in Switzerland. Their content attracts thousands of viewers simultaneously. Their live streams and VoDs must be available all the time. Tele1 can never predict how many viewers they will have. They chose Jet-Stream for both their stability and their scalability. Read their story and find out why.